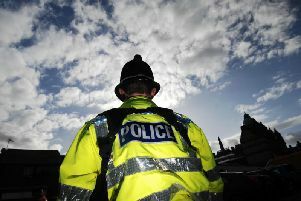 A Burnley man has appeared in court accused of attacking his father with a large plank of wood. John Foreman (29) is alleged to have struck his dad to the head, leaving him with a wound and a fractured skull. Foreman appeared before District Judge James Clarke at Blackburn Magistrates' Court where he faced a charge of wounding with intent to do grievous bodily harm. He indicated a not guilty plea. The defendant, of Willis Street, Burnley, will have his case heard at the town's crown court and was remanded in custody until a plea hearing on March 8th.